In its strict technical sense ‘money’ means coined metal, usually gold or silver, upon which the government stamp has been impressed to indicate its value. In its more popular sense, ‘money’ means any currency, tokens, bank-notes, or other circulation medium in general use as the representative of value.” Then under that several more sites are named. In many ways, I prefer this definition to Black’s Law Dictionary. Why? Because it accounts for the wide and varied monies of the world (for example, the oft-quoted sea shells, or Polynesian fruit). Money is whatever people use as money — medium of exchange, store of value, unit of account. Currently, gold and silver have some limited use as stores of purchasing power, but not as media of exchange. But their history is entirely different to state-backed fiat money, that dies with the issuer. Precious metals’ purchasing power has lived beyond the regimes that used them as money, into the present day. So what makes gold and silver robust? They’re commodities — gold as jewellery, as a symbol of wealth, historically as money and its relative lack of uses as anything else. Silver is an entirely different animal, because it has many more industrial uses. If gold and silver should lose all favour as money, silver would retain most of its value on industrial usage alone . And that brings me around to today — silver is constantly being used up by industrial processes, whereas gold is not. Although silver is more abundant in the crust of the earth, the amounts remaining in circulation are being greatly diminished by industry. There is a potential issue of peak silver on the horizon; there is no peak gold. So the case for silver as an investment is different from gold. Gold is above all else is being bought by investors as a hedge against money printing, a hedge against the collapse of currency, a hedge against bad government, and a hedge against a lack of growth, productivity and prosperity. 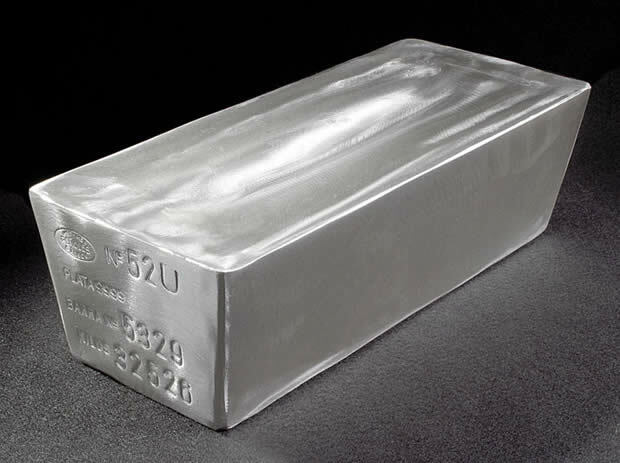 Silver is being bought for similar reasons, but also as a highly in-demand industrial metal. Silver is industrially sensitive. A new financial crisis or a Chinese slowdown could severely dampen demand for it. And right now, Chinese miners are pumping more silver out of the ground than ever before. This means that the short and medium term case for silver looks relatively bleak. After years of gains, oversupply and corrections are conceivable. This entry was posted in What is Money? and tagged bernanke, gold, hyperinflation, money, palldium, silver. Bookmark the permalink. Silver had better marketing. Whilst people on blogs talked about investing in gold, silver bugs were the “cool” kids. So naturally speculative hype was very easy to push. Silver being cheaper is an easier barrow to push. I think silver bugs will be burned. Badly. Buddy, what do you think the purchasing power of silver will be in, say, 5 years compared to today? The only true forms of money are the basics which are food, shelter, and water. Despite what people say gold and silver are investments and a hedge against the decline of the US economy. The chart you posted above says it all. Where are going to put your money today? Stocks? What did the DOW do over the last 10 yrs. 12%. Real Estate? As an investment it isn’t going anywhere for 5 yrs. Treasuries? Great if u want negative returns. The only investment is gold and silver who produce gains every year for the last 10 yrs (except for silver in ’08). My phones won’t stop ringing because more people are realizing this. That being said I never argue with people who want to buy gold or silver so they can use it for the apocalypse. But if there are only 2 people on this earth id much rather own a house of food than a house of gold. Well said. I think the idea of most investors is to invest in gold and silver *until* a gold and silver bubble occurs. Then the PM investors sell their metal and buy something they can get much more use out of, like real estate.